Tickets available at Crossword stores. Kavya Mudra’s annual festival celebrating the ever-illuminating soul and spirit of the great Gujarati poet ‘Mareez’. 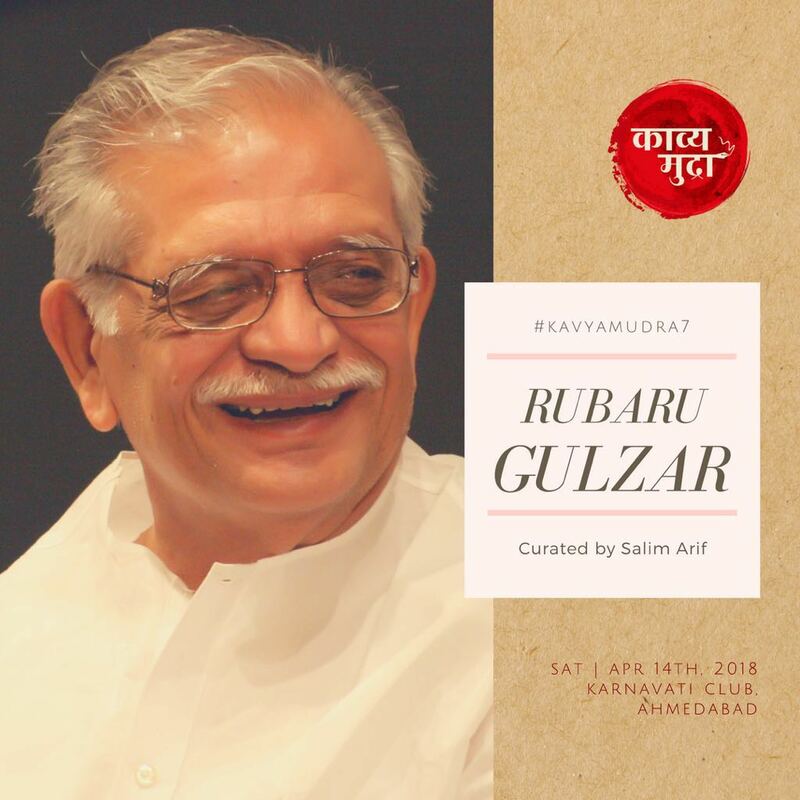 Catch Gulzar Saab live at Kavya Mudra on 14th April.